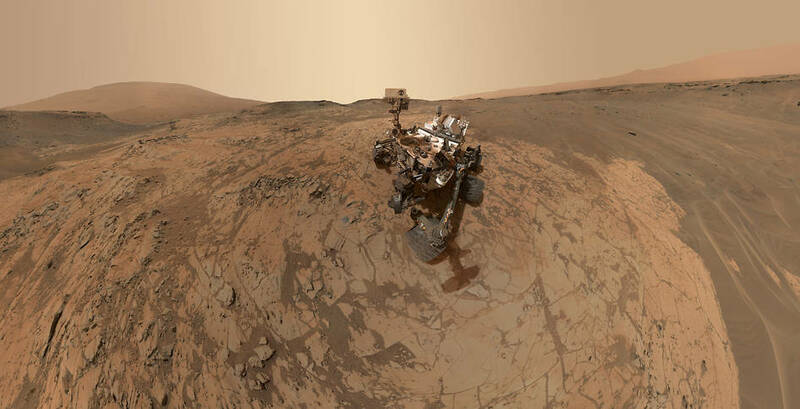 How did Curiosity take this image (well, these images) you ask? 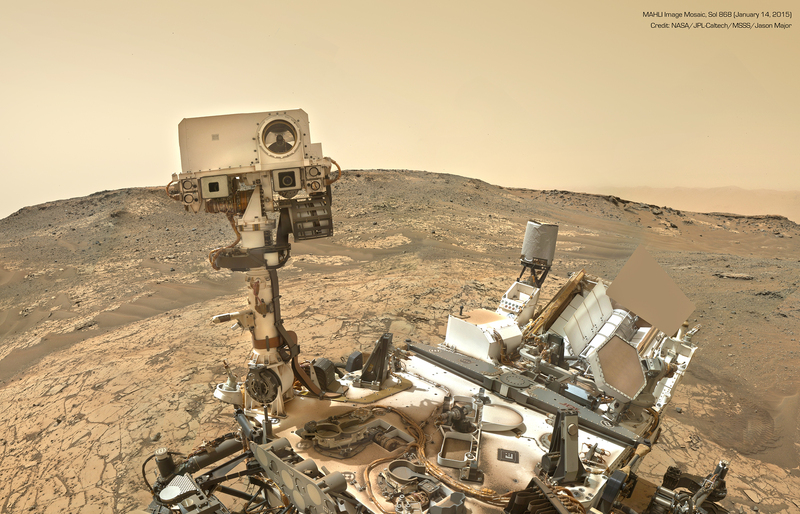 While its Mastcam cameras are on the rover’s head (looking an awful lot like eyes) its MAHLI Mars Hand Lens Imager camera is mounted at the end of a movable turret arm with several other tools. It can be positioned to look closely at a target on the ground or held up high to take images looking back at the rover itself. (See the video below.) You could say that NASA invented the selfie stick! Curiosity is currently in the “Pahrump Hills” region of Gale Crater, approaching the foothills of Mt. Sharp (Aeolis Mons). Click here for a super high-res version. Aww, this is adorable, reminds me of Wall-e! Tell it to bring me back a big rock!!! *LOL* Love the picture. So normal looking it’s strange.